This morning I walked into the kitchen to find a couple of girls from Moscow who were travelling to Azerbaijan and Georgia. We got talking and one of them told me she was also a biker, she had Triumph back in Moscow. She told me a couple of websites that are very active in the biking community in Russia, one of then to help bikers who have problems on the road, and gave me her number in case I needed anything for the trip. Nice girls. I decided to spend the morning visiting the city and then go back to the hostel in the afternoon and write all the posts I had no written on the previous day. As it always seems to happen, Voronezh was a much nicer city than expected, I wandered around its streets, went down to the river, back to the center, found a place to eat and escape a bit of rain and back to the hostel. When I got to the front door I found a GS with Serbian plates, It was a couple travelling east, with no fixed plans, possibly going as far as Vladivostok. We spend a long time talking bikes and travelling in the kitchen, and they gave me some advice about the route to the NordKapp, as some of their friends had been there. Then they went for a walk and I spent the rest of the evening writing, which took much longer than I thought. 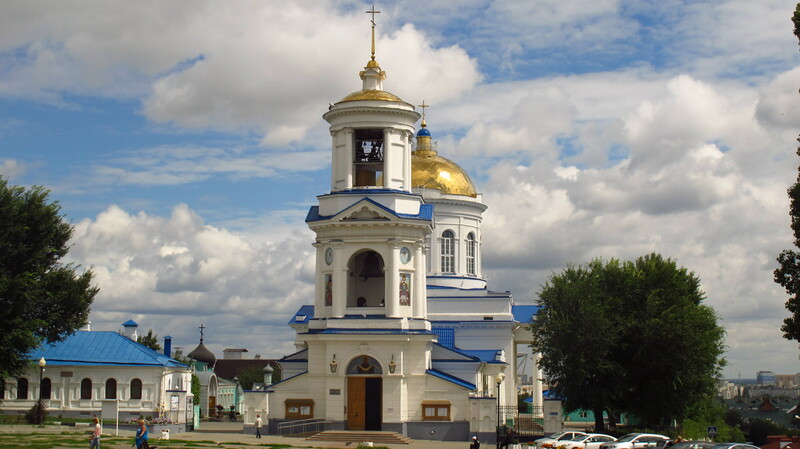 This entry was posted in Stroming The World 2013, Travel and tagged adventure bikers, Voronezh by Kilian. Bookmark the permalink.